Welcome home to Tuscany Falls. 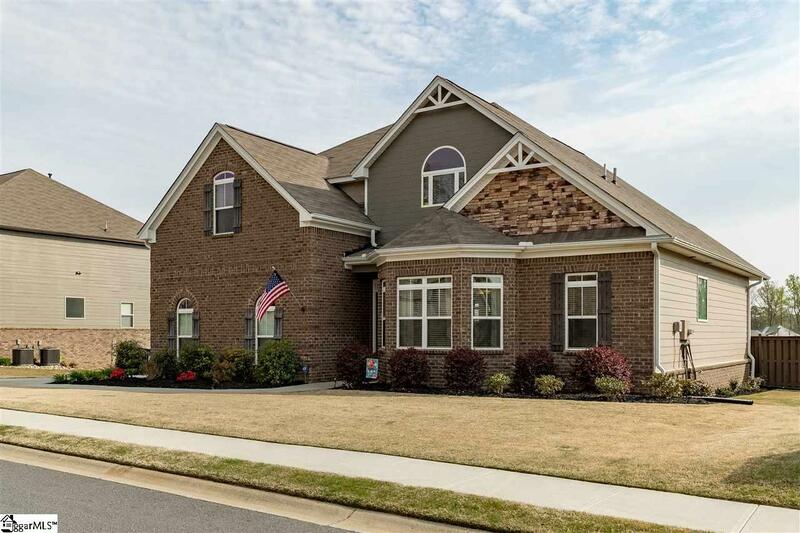 This 4 bedroom, 3 bath home is sure to impress the most discerning buyer. Outside the home, you will notice the brick and stacked stone facade as well as the low maintenance Hardie Board exterior. 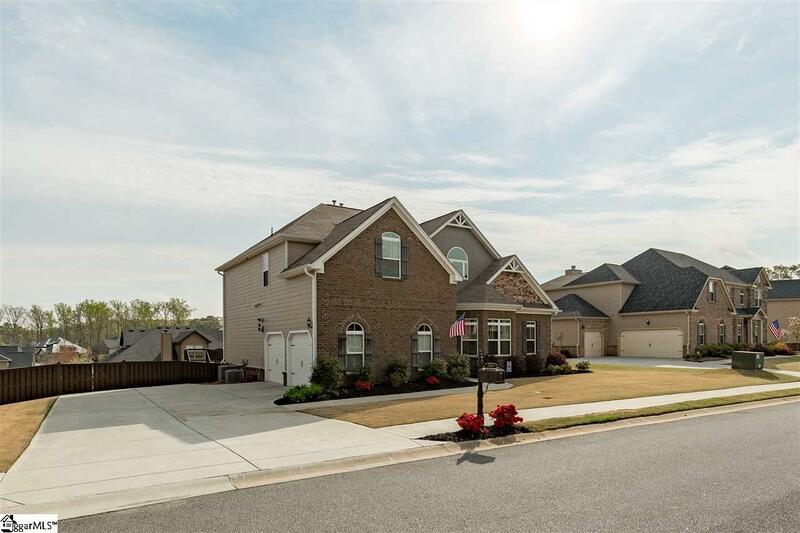 As you enter into the homes two story foyer, you will begin to take note of the homes many upgrades, such as the hand scraped flooring throughout the main living areas and hall, ample crown molding and neutral colors throughout. To the right of the entry is this homes formal dining area. With its coffered ceiling and wainscoting panels, you will be hosting your elegant dinner parties in style. Down the hall you enter into the homes great room. Curl up with a good book next to your gas log fireplace or sit back and relax to watch the big game. The gourmet kitchen overlooks the living area and is a cooks dream, with granite counters and center island, a gas cooktop and dual ovens as well as a professionally finished pantry with plenty of storage space. A large half bath as well as a large walk in laundry room is located just off of the kitchen. 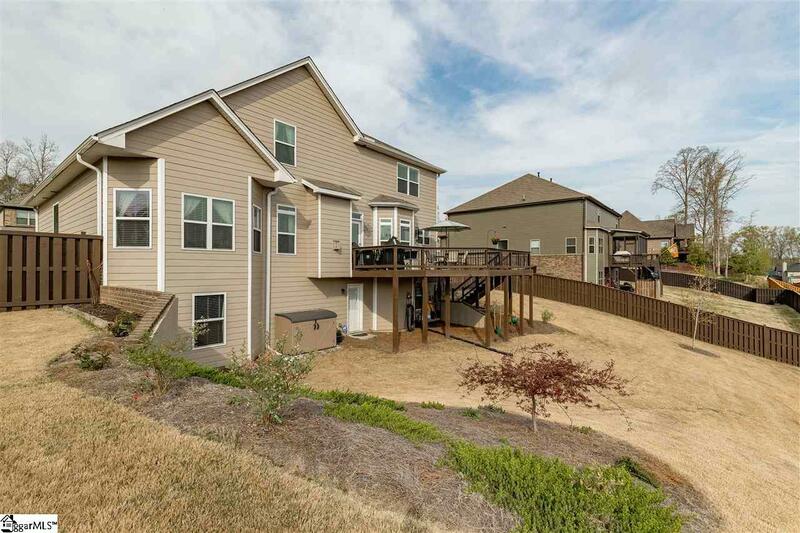 Also located off of the kitchen is a huge back deck overlooking your fenced in backyard. With plenty of space to cookout and entertain, or just sit and watch the sun rise, you will be hard pressed to ever want to leave. Back inside and located just off of the living area is your Master Suite. A large and inviting space with an en suite master bath, complete with dual vanities, separate garden tub and tiled walk in shower. The master closet was completely re-done with a custom designed closet system. There is no shortage of space here and it has been thoughtfully done and even includes an ideal spot for a charging station for all of your electronics. Upstairs, you will find your 3 huge secondary bedrooms, each with its own large walk-in closet. 2 of these bedrooms share a jack and jill bath while the third has its own full bathroom. A large loft area could be used for a million things such as a quiet reading nook, craft area, play area, or as it is now- the perfect home office space. This home also features a full unfinished walk out basement that could be completed with minimal effort. The walls are framed, electrical pulled and plumbing roughed in. Looking for a Media room, In-home gym, Guest suite, or just a ton of storage space? All this area needs is your imagination as to how you want it finished. For additional peace of mind, this home will convey with a 12 month home warranty that includes re-keying of exterior locks (up to 6 keyholes) after closing as well as a transferable CL-100/pest treatment plan. Tuscany Falls amenities include a fabulous clubhouse as well as a resort style, zero entry swimming pool, complete with lazy river and a waterfall. Welcome home! 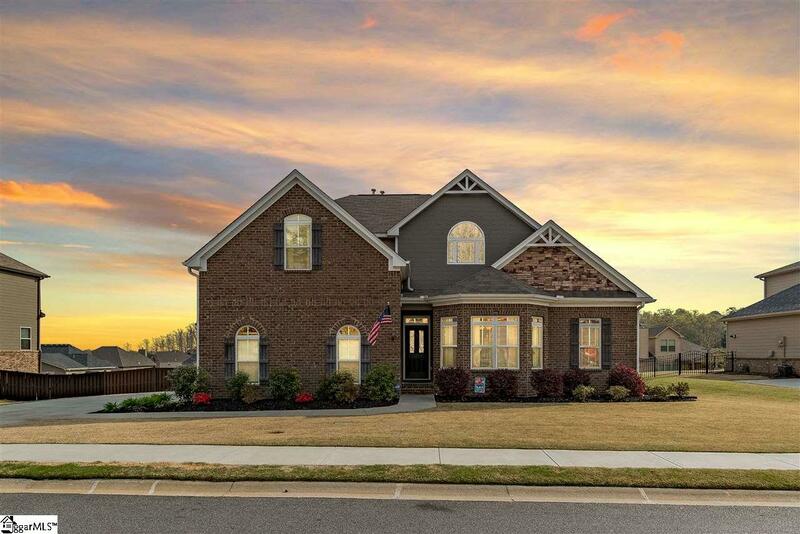 Listing provided courtesy of John Briley of Exp Realty Llc.